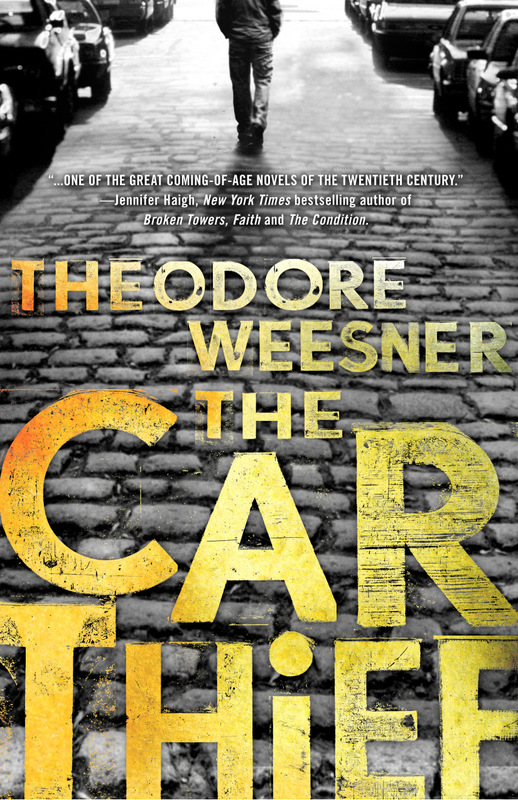 Theodore Weesner, born in Flint, Michigan, is aptly described as a "Writers' Writer" by the larger literary community. His short works have been published in the New Yorker, Esquire, Saturday Evening Post, Atlantic Monthly and Best American Short Stories. His novels, including The True Detective, Winning the City and Harbor Light, have been published to great critical acclaim in the New York Times, The Washington Post, Harper's, The Boston Globe, USA Today, The Chicago Tribune, Boston Magazine and The Los Angeles Times to name a few. Weesner is currently writing his memoir, two new novels, and an adaptation of his widely praised novel - retitled Winning the City Redux - also to be published by Astor + Blue Editions. He lives and works in Portsmouth, NH. 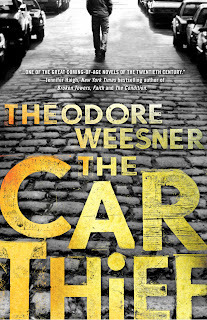 The Car Thief was a very interesting novel. It follows a boy named Alex who has gotten himself into a lot of trouble with the law, but he doesn't even know why he is doing it. All the people around him seem to have idea on why he could have stolen all those cars, but he himself cannot think of a logical reason for him doing it. Maybe their reasons are accurate, but he can't for sure to himself if that is true. There were a lot of things that i liked about this novel. I liked how simple the writing was. It was simple, but still elegant in its own fashion. I also liked that the story was divided into parts for each big event that happened through out the story. I think The Car Thief was a very good coming of age novel. 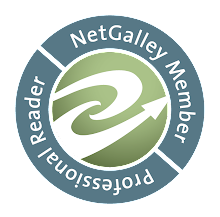 It reminded me a lot, just like the reviewer from The Kansas City Star, of Catcher in the Rye. It was a simply written coming of age story about a boy who has a troubled life, but figure's things out in the end. Now, if literary fiction is not the normal genre that you partake in then you might not fall in love with this novel. It would be better for you if you just wanted a break from the norm and read this leisurely. Since i put myself on a deadline for when i wanted/needed to get it read by it did take away some of the pleasure of reading it since i felt like i had to read it, instead of just wanting to. And it is definitely told in a much slower, straightforward way that is completely opposite to my fast paced paranormals that i love. One change i would have made to this during editing would be to retitle "The New Introduction by the Author" and put it at the end. I only say to do this, because it is basically a summary of the entire story before you even read it and at that point what is the point in reading it anymore? I think that was the reason it felt dragged out to me and there were no surprise elements to the story, because i already knew what was going to happen. If i would have skipped that and just started the story i think i would have liked it a lot more and would have felt more emotions while reading it. The Car Thief was a really good coming of age story. It was an interesting story about a boy who went down the wrong path and has to find his way back. I liked that the writing style was very simplistic and had an easy flow. This would be a very good novel to read leisurely if its not your normal genre that you usually read, and i also think that if they put the authors new introduction that was in the beginning at the end or out completely that way the story wasn't spoiled for you. Overall, it was pretty good.